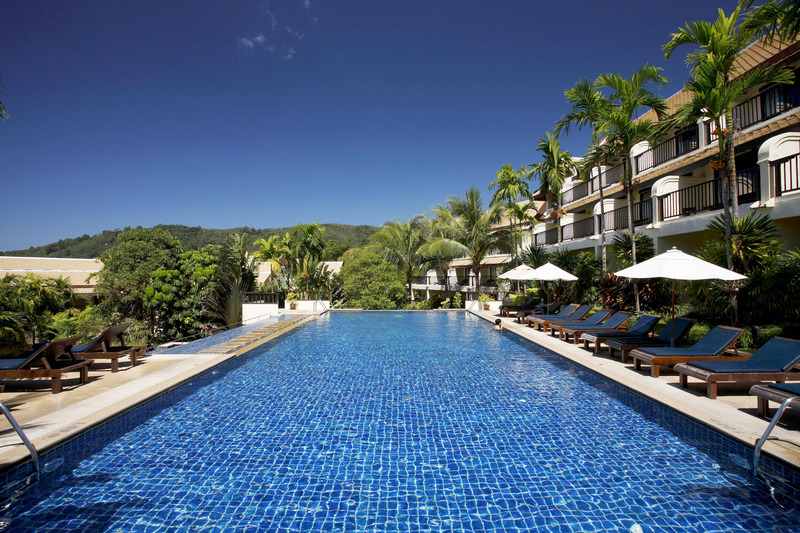 CENTARA BLUE MARINE RESORT AND SPA PHUKET is set to welcome this high season’s guests following extensive renovations . Located at the northern end of Patong Beach with Kalim Bay and views of the Andaman Sea and a green backdrop of forested hillside, Centara Hotels & Resorts assumed operational management of this four-star resort in January 2014. A renovation and rebranding program is now complete, and the resort will be officially re-branded as Centara Blue Marine Resort & Spa Phuket from Dec. 1, 2014. Accommodation is a mix of 266 rooms that includes newly designed and renovated Premium Rooms, suites and villas. The villas offer a choice of one and two bedrooms, with each having its own private pool. The hotel lobby and Lobby Lounge have also been completely redesigned. The restaurants include Blue Horizons, which serves international cuisine, and Tropics Restaurant which serves more casual offerings beside the resort’s ‘Waterfall Swimming Pools’. Meetings facilities are included, with the Mediterranean Room able to hold up to 180 guests for cocktails and other smaller venues and outdoor locations for parties, meetings and gatherings. The resort has its own laundry, bakery and an off-site garden producing fruit and vegetables for guests and staff.